Polymer modified renders and acrylic coatings have come a long way over the past 20 years, and through continuous research and improvements, most notably from market leaders Dulux Acratex, these products are now better performing than ever. 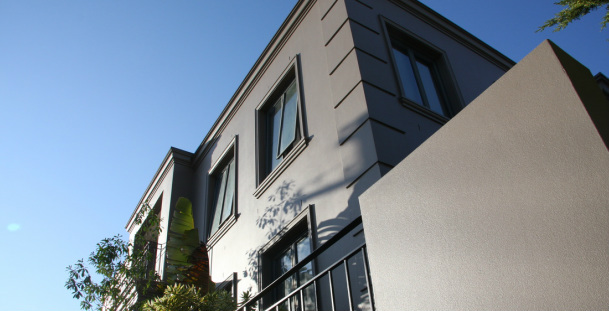 Clearly out-performing conventional, traditional render systems, these high performance renders and coatings have maximum adhesion, flexibility and strength, resulting in a long lasting finish with barrier properties to reduce natural erosion. 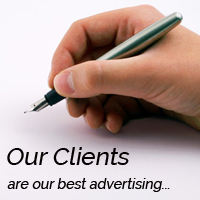 Our tradesmen are specialists in their field, and are more than just texture coaters. Skilled in the art and trade of rendering and plastering, they have extensive knowledge of the old school principals, but also an appreciation of new and emerging products and techniques. At Render My Home, we only deal with the best. And with all things to do with painting, this means Dulux AcraTex. We proudly use Dulux paints on all our projects, and are accredited by Dulux to do so. This gives you the reassurance that you are dealing with a qualified applicator, but also with paint products that are rigorously tested and are of the highest quality. How are we different from every other painter? We work to follow the manufacturer systems and specifications, to give your home a long lasting, burst of life and colour. And we guarantee this. We have our own specialist external colour consultant that can advise you the best colour schemes and finishes for your home, taking into consideration any variables associated with the existing elements, the natural surrounding landscape, and of course the personalities and characters living inside your home, that make it a home! It is essential when engaging into an external façade home improvement project, that landscape and garden design, as well as the plants within, are fully considered during the early design phases to ensure a balanced and purposeful result. Landscaping is usually the final trade and signals the nearing completion of the successful transformation of your home. It is the icing on the cake! To ensure you have done justice to your homes new façade, you must not make the mistake of neglecting your garden. Pool surrounds, driveways, concreting, sandstone works, decking, fencing, irrigation systems, paving, retaining walls, brick + block laying and unique garden features all contribute to putting the finishing touches to your home. We have our own in-house landscape architect that can consult you with the assistance of sketches, plans and computer generated architectural models to ensure the landscaping component of your project is a piece of work that you and your family are proud of for many years to come. Modern, innovative and distinctive. The CSR Cemintel Designer Series, pre-finished cement-bonded fibrous wood particle panels are all about ‘the look’ and ooze sophistication and uniqueness! With an extensive range of smooth, textured and profiled surface finishes. These are the bee’s knees of architectural wall cladding systems, and have been heavily featured on Channel 9’s, ‘The Block’. 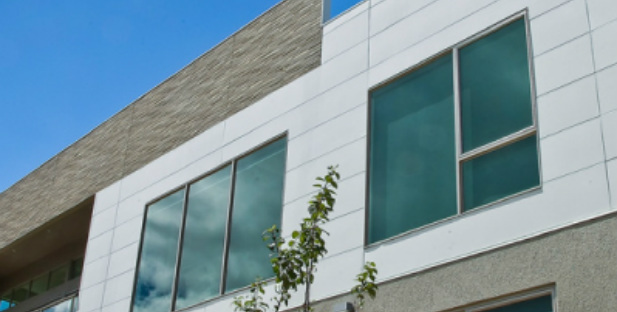 With a growing range of looks, these panels are built to withstand the harsh elements of coastal areas, and are manufactured to the highest possible standards. If you are after a raw, concrete finished look, we have just the panel for you. Our design team can advise on how to use the Designer Series wall panels as a feature-only, or around you entire home. Either way, apart from being the star of the show, it is guaranteed to provide an impressive level of contrast. 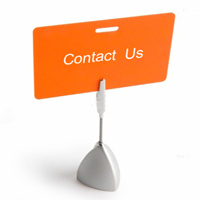 Let us design a solution for you. Traditionally used for commercial buildings only, aluminium composite panels are now being touted by architects as the look of the future on high-end residential homes and apartments. 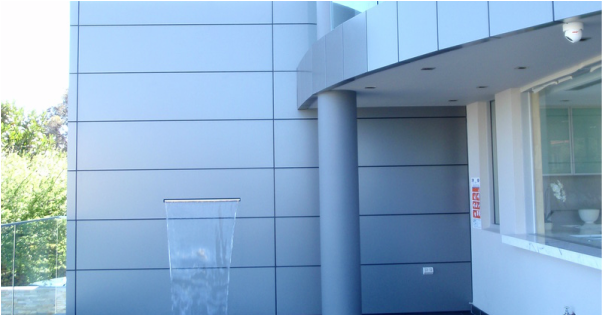 Manufactured from a high-grade aluminium composite panel, comprising a polyethylene core, sandwiched between two sheets of high strength aluminium skin, the panel system is available in a range of solid and metallic colours and finishes. At Render My Home we only deal with the best, and the best is CSR Alutri Panels. The panels come coated in a long lasting and UV resistant coating and are flexible enough to bend and shape around pillars and other curved structures. The possibilities are endless! Speak to our design team today about giving your home that ultra-modern, futuristic look that is capturing everyone’s attention in the high-end residential market in Sydney. Lightweight, cost efficient and reliable. Hebel is 100% manufactured in Australia by CSR, and has been proven and tested to be the smart way to build. Possessing properties that outperform traditional masonry systems, Hebel delivers a diverse number of environmental benefits over brick and concrete. 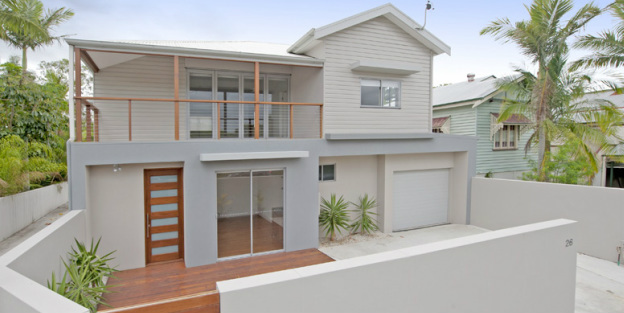 The Hebel range comes in panels, blocks or clad, and are coated using a Dulux AcraTex render and coating system to give your home a traditional, solid, rendered look. Being a lightweight, high-performance system, ensures that load stresses that usually contribute to external structural cracking in the render, are no longer a problem when installed according to the CSR and Dulux AcraTex specification. Speak to our design team today on ways to utilise this system on your home to upgrade its look. Strong, durable and lightweight. These are just some of the words used to describe some of today’s modern construction materials. But now add terms such as cost effective, sound dampening, thermally insulating and property value-increasing, and you have a seriously dynamic and superior wall cladding system, that will keep your family cool in summer and warm in winter. Thermal façade cladding systems, such as Exsulite by Dulux Acratex have an unlimited potential as far as versatility and design goes, whilst providing the solid and secure feeling you get from traditional heavy weight wall structure. Our design team can walk you through the process of deciding on the right colour scheme and texture for your home, based on the natural surrounding elements. Elegant, functional and personable. These fashionable items really make a statement about you and your home by adding a modern, stylish and classy flair to your façade and outdoor entertaining areas. Providing comfort and protection to your family from the outdoor elements, most come with automated features to enhance the experience. 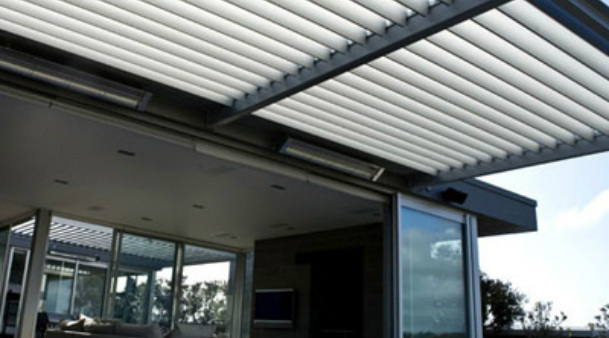 Adjustable awnings, motorised shutters + shades, continuous louvres, external venetians, aluminium roller shutters, sun + privacy screens, skylight shades, zip screen sun shades and Roman blinds. Made using extruded aluminium that is finished either anodised, or in a high UV resistant powder coat paint finish, with all fixtures and components being high-grade stainless steel. Feel free to arrange a meeting with our external design consultant, who can advise you on how to optimise the look of your home using high-quality awnings and louvres.